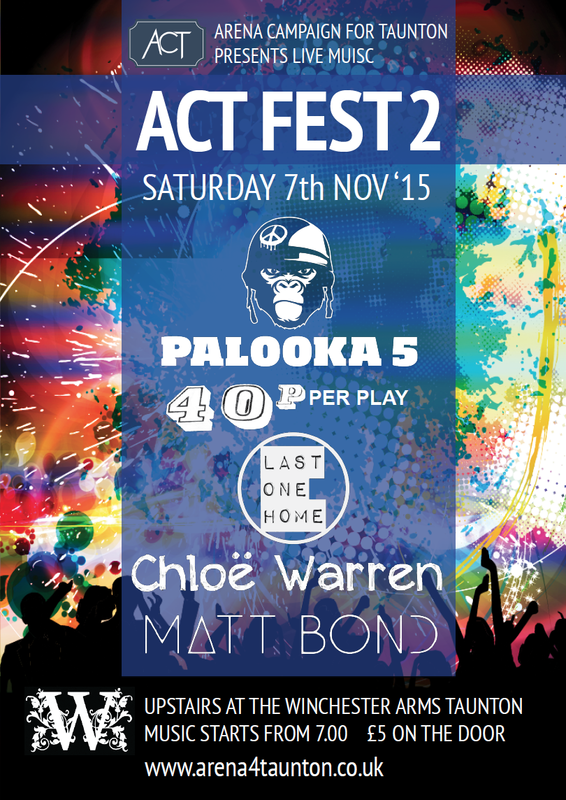 Our next gig is ACT Fest 2 (Arena Campaign for Taunton), Saturday 7th Nov, Winchester Arms, Taunton. Five acts on the bill – all for a fiver! Great value Comrades! Tickets and event info are available from here arena4taunton.co.uk Hurry though as there is limited availability.